It seems that the official website of ACRES, the Animal Concerns Research and Education Society, has been hacked. Upon a Google search of their website, it now reads as a link to a website ‘Viagra’ can be ordered from. ACRES is non-governmental organisation and a registered animal welfare charity with the Ministry of Culture, Community and Youth in Singapore. It is also usually the organization called whenever Singaporeans find wild animals in public places, or injured animals. At the time of writing, the synopsis under the link to ACRES’s website read, “cialis for sale canada order cialis online order generic viagra purchasing viagra vardenafil vs viagra purchase viagra online order cialis viagra discount canada …”. For those unaware, Viagra among others, is a medication commonly used to treat erectile dysfunction and pulmonary arterial hypertension. A second link below the main website link read, “Order Viagra”, and “lowest prices”. 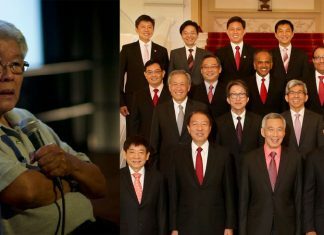 Hilarity ensued amongst netizens, but most just said that their website was likely hacked. TISG reached out to ACRES for further comment, and to ask when they would be fixing their website.